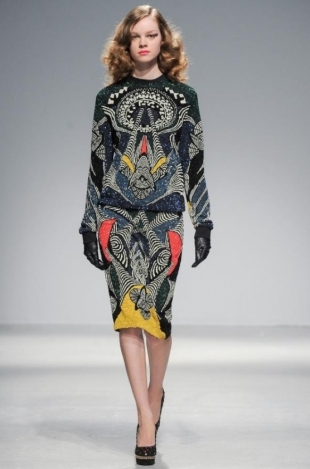 Manish Arora Fall 2013 Collection. 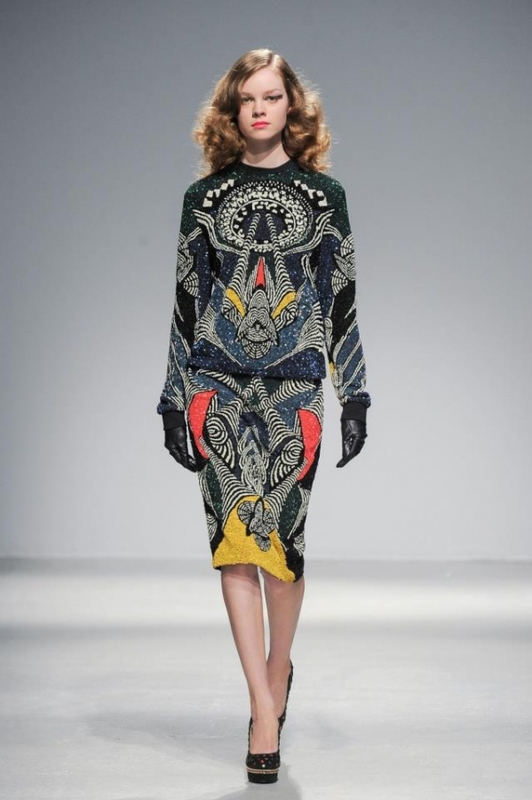 Maximalist heaven or...the new Manish Arora line for the fall/winter 2013 season. These terms felt almost interchangeable, making the show one of the most exciting presentations of this Paris Fashion Week. Have a glimpse at the best runway looks. The Manish Arora fall 2013 collection felt like a burst of energy in the context of this edition of the fall 2013 fashion week as a whole. Paris Fashion Week diminished the severity that characterized the majority of the collections for the new season so far, yet few retailers dared to embrace color and patterns as boldly as the Indian designer did. In his world, there no reason to live with dark, monochrome outfits when there's an abundance of complex prints and patterns ready to be mixed into some of the most unlikeliest combos for a spectacular yet undoubtedly unexpected effect. There wasn't a single dull moment in the new Manish Arora fall/winter 2013 line as the outfits send down the runway demanded complete attention. With fabulous digital prints, Aztec influences, chromatic choices that emphasized the designer's cultural background, opulent jewelry pieces and a variety of striking textural touches, the new options proved a statement lover's delight. Though masculine elements were present, the looks carried a spectacular feminine vibe which was emphasized differently in various stages of the show. If at first, we've seen some of the current trends like peplum revisited along with plenty of other feminine motifs like pleats, the tone of the looks changed bringing different fabrics into the spotlight. 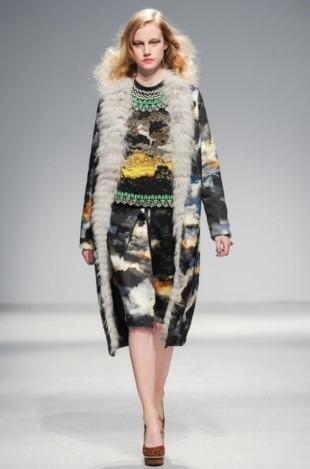 With fur pieces and trimmings, the designer confirmed that the motif will indeed have an important place for fall/winter 2013. Opulence took many forms in the new fall 2013 collection from Manish Arora including luxurious black and gold combos or jewel-like embellishments.